I am Lion, Hear me roarrrrr! How about a meow for right now since he's still a cute, little baby lion? He is 10" feet to ears and only 7 1/2" seated. 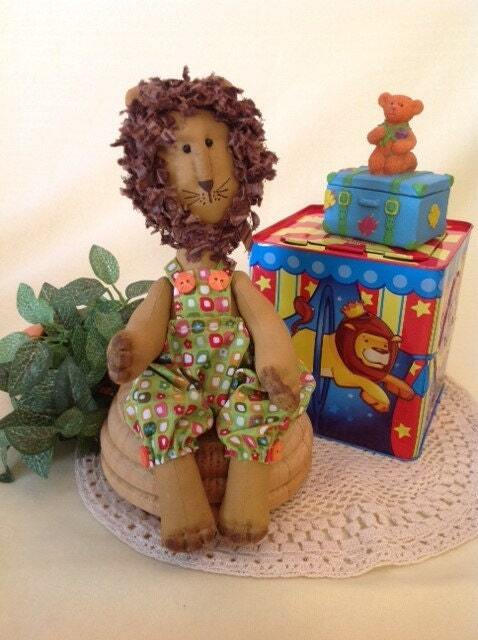 The little baby boy lion doll is 1 of 5 new designs in a new series of patterns I call; Sue's Zoo. You can order 1 design at a time or order the entire collection of patterns priced so you are getting 1 free pattern. The collection is available in a separate listing. Either way, I certainly hope you like my new baby zoo collection. 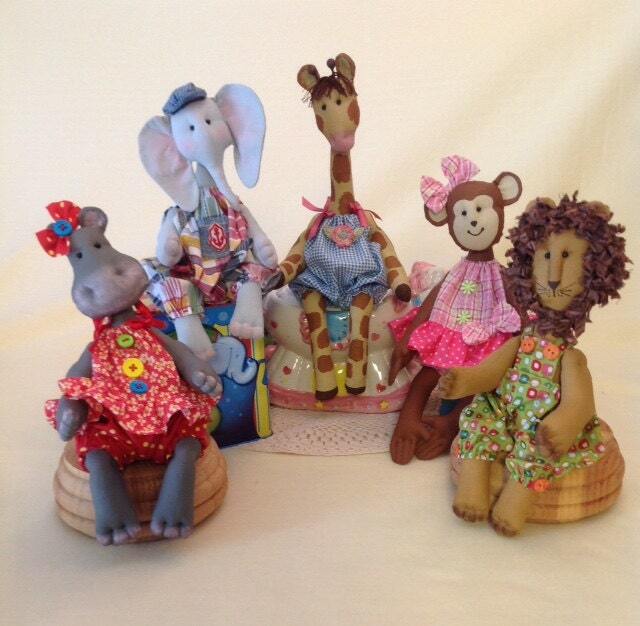 A Gift Suggestion: Finished dolls would make a wonderful nursery decoration gift to welcome a new baby. 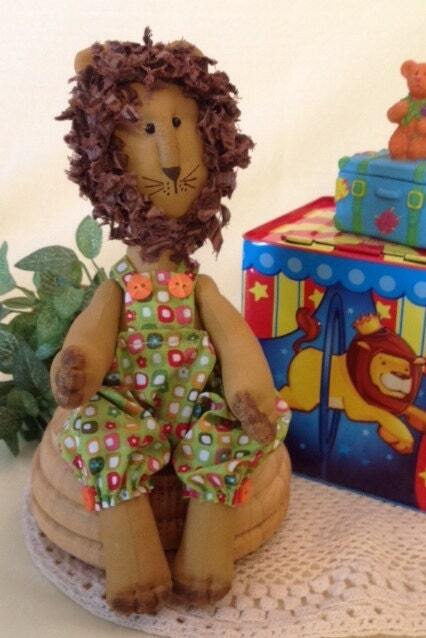 The PDF download includes easy to follow instructions including doll painting details, doll body and clothing patterns, and a complete suggested materials list. 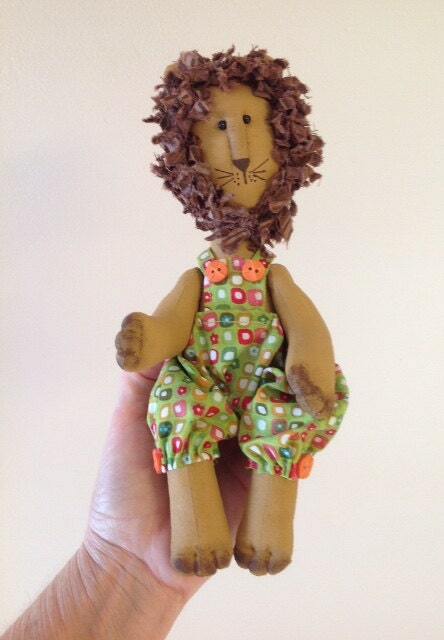 Learn my simple painting technique on this easy to make doll. 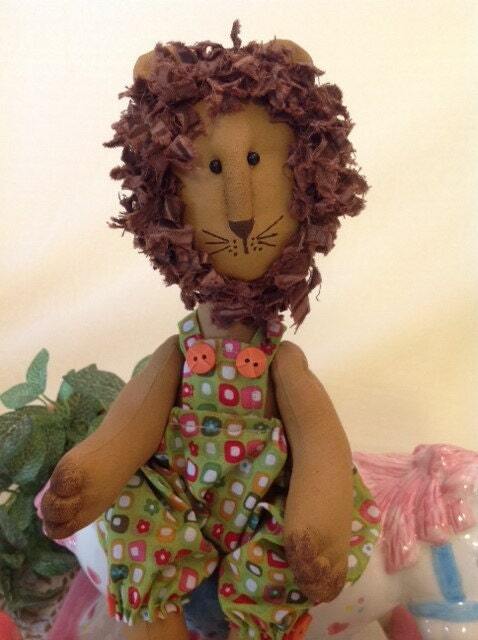 Finished dolls made by you personally may be sold on the internet and at local craft shows. Please give Fruitfull Hands design credit.